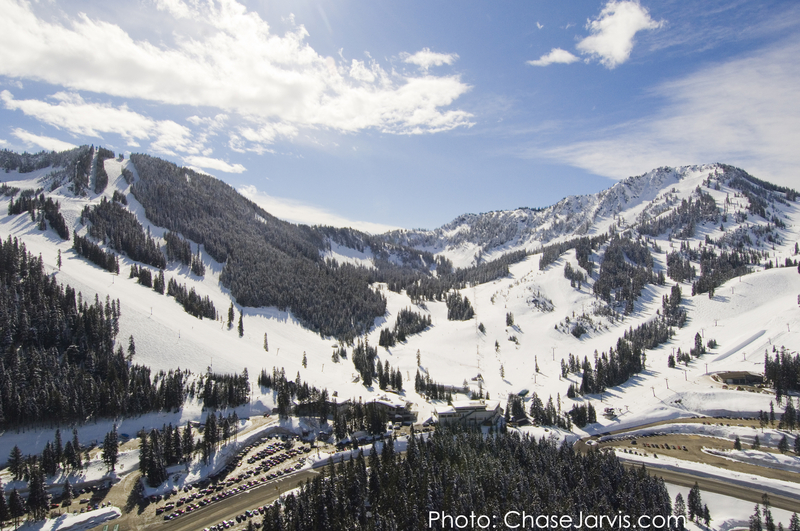 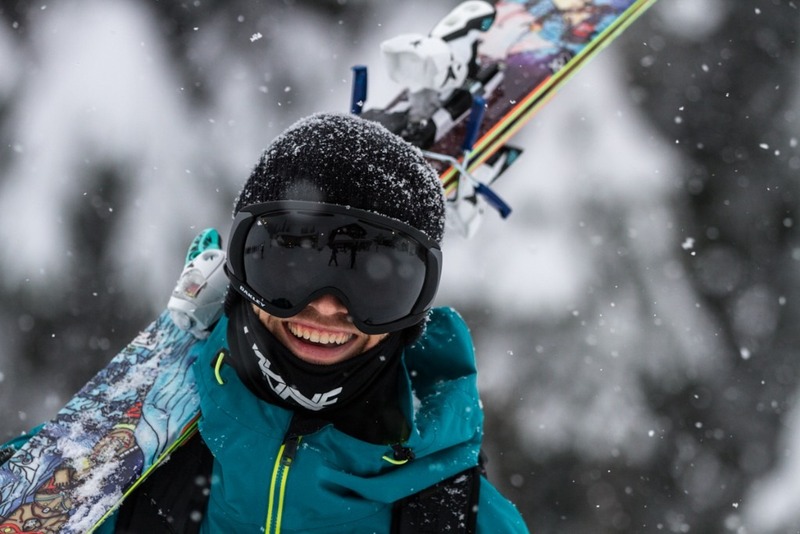 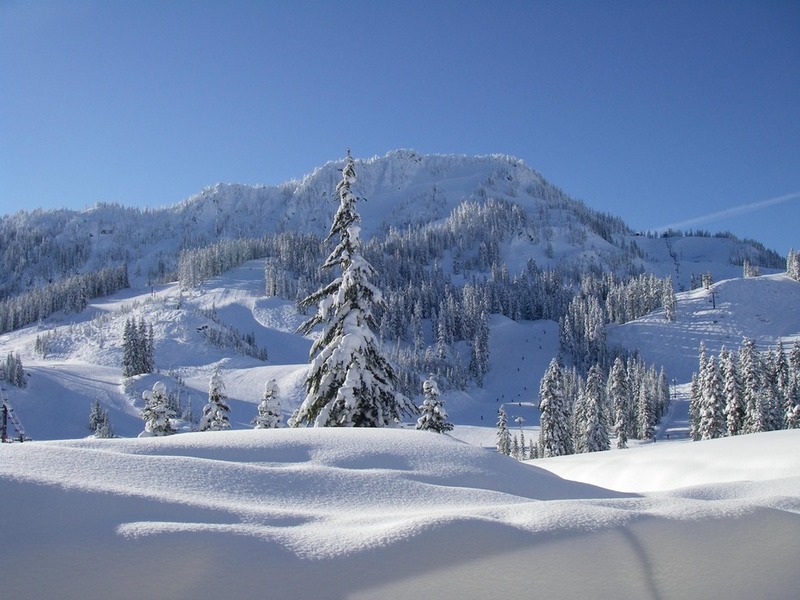 Browse through our collection of photography from Stevens Pass Resort to get acquainted with it before your ski trip or to relive great memories on the slopes at Stevens Pass Resort. 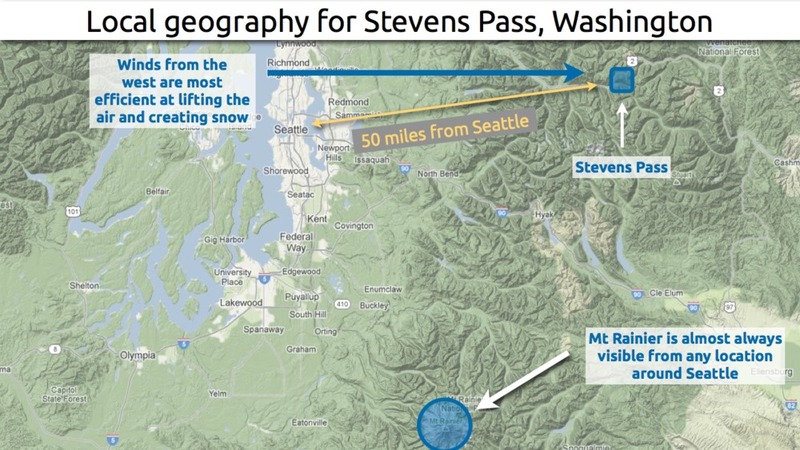 Learn how to predict snowfall totals at Stevens Pass. 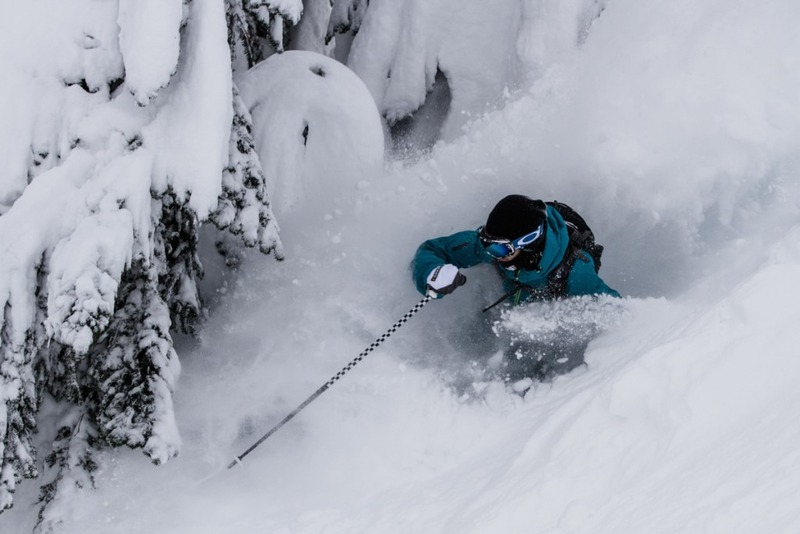 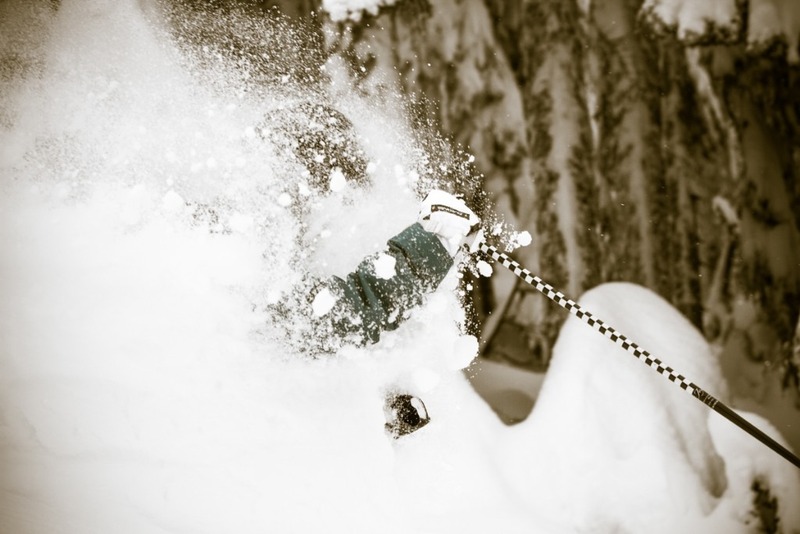 Chris Shalbot sinks deep in Stevens Pass trees. 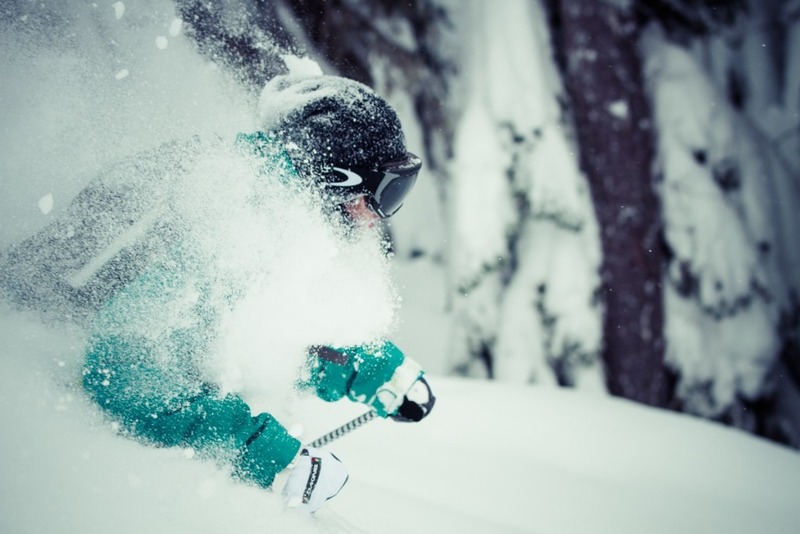 Micaela Katz was on hand to spin a few laps with us. 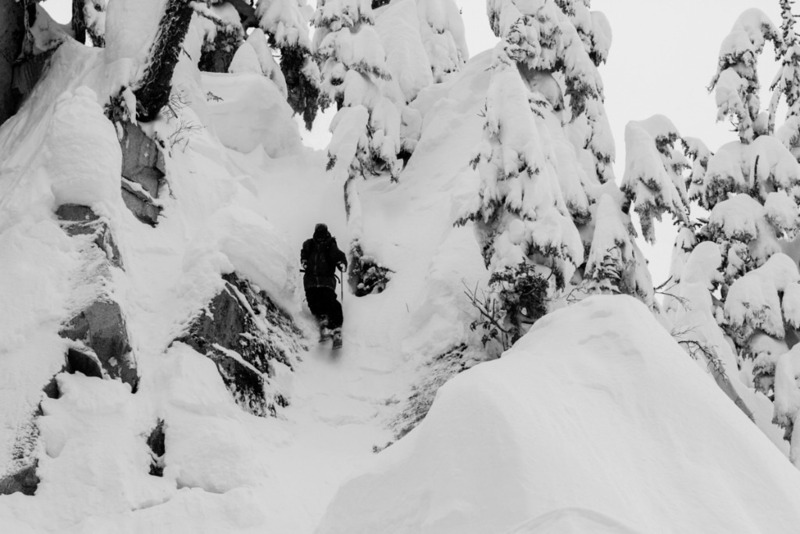 Chris Shalbot showed us around Stevens Pass all day. 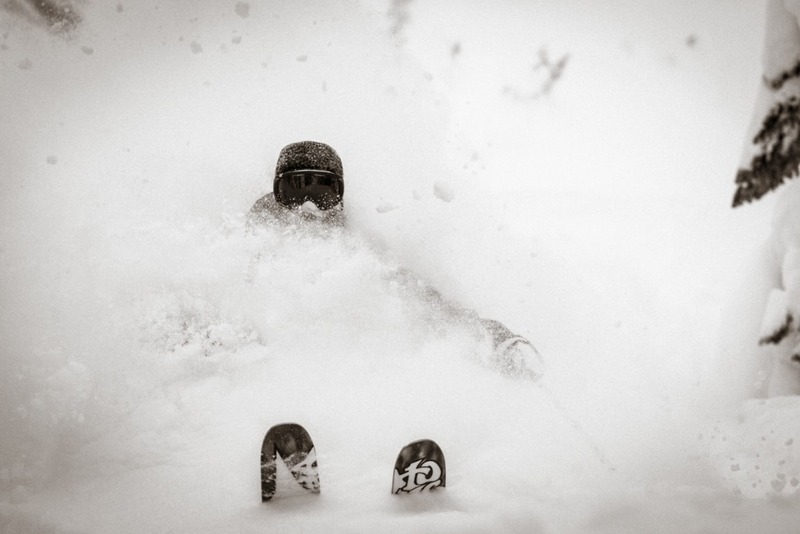 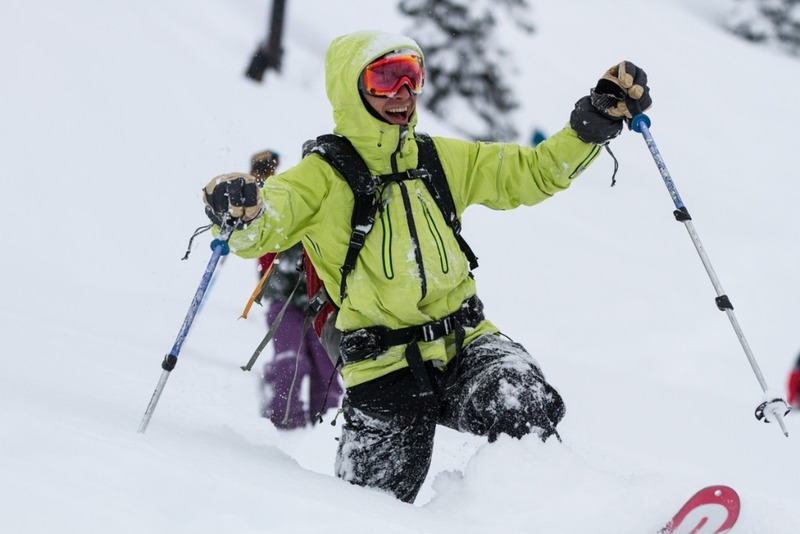 The first crew of skiers had to battle their way out of the bottomless powder. 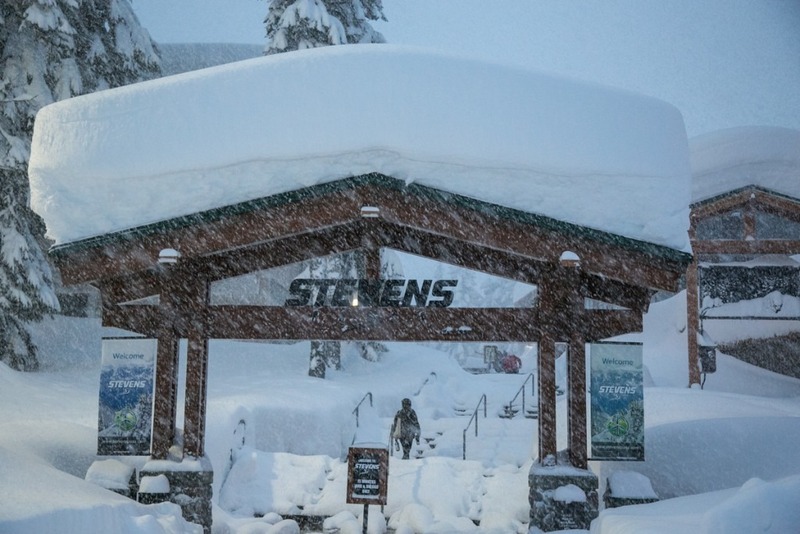 Stevens Pass at 7:10 am. 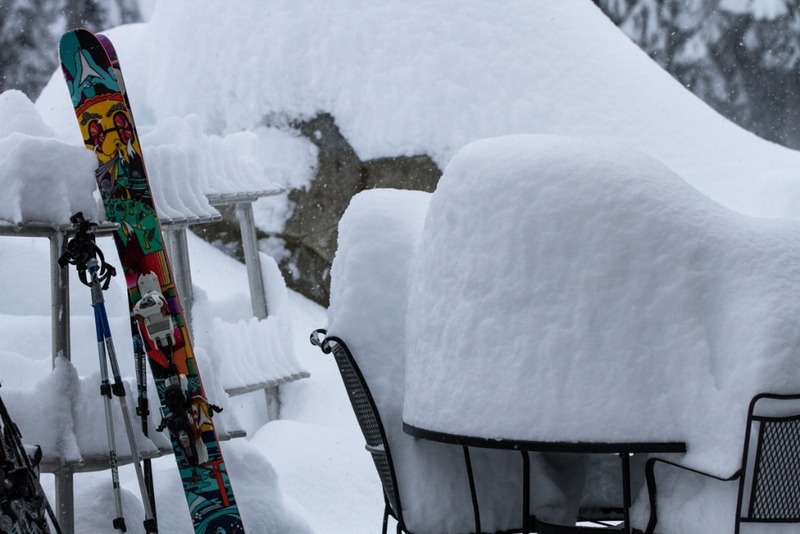 39" at the base and up to 5 feet up top. 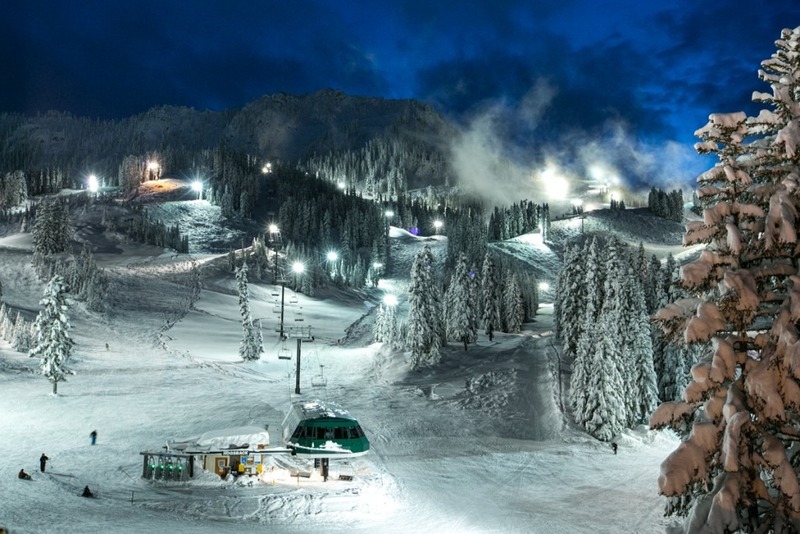 If you have the energy, night skiing is available too. 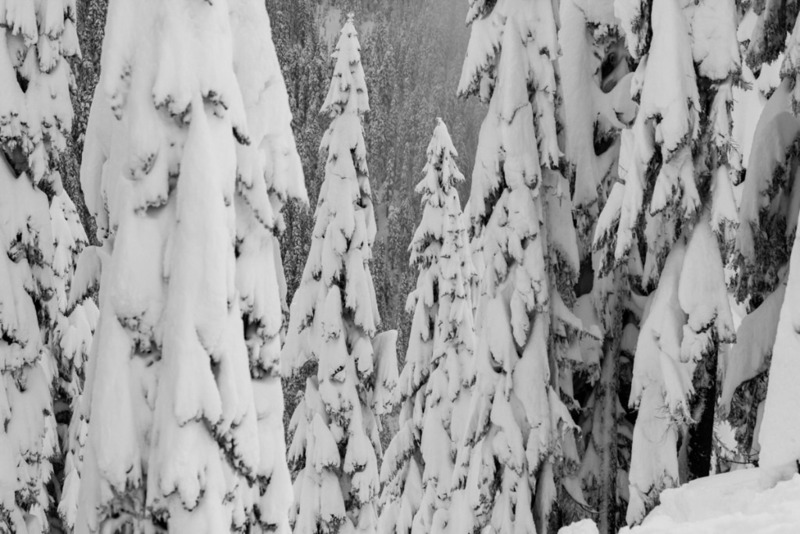 Snow at Stevens Pass on Oct. 23, 2012. 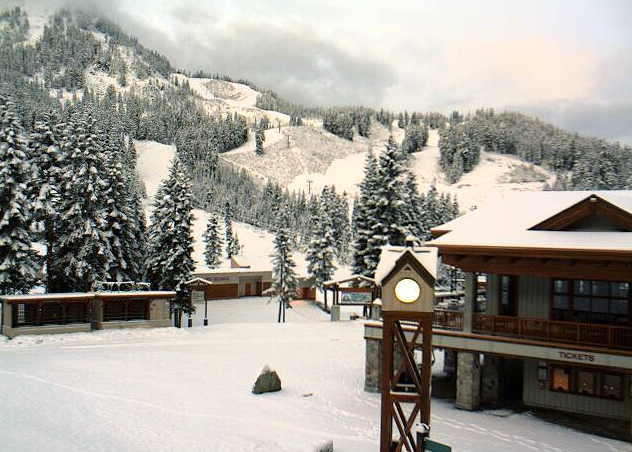 Photo courtesy of Stevens Pass webcam. 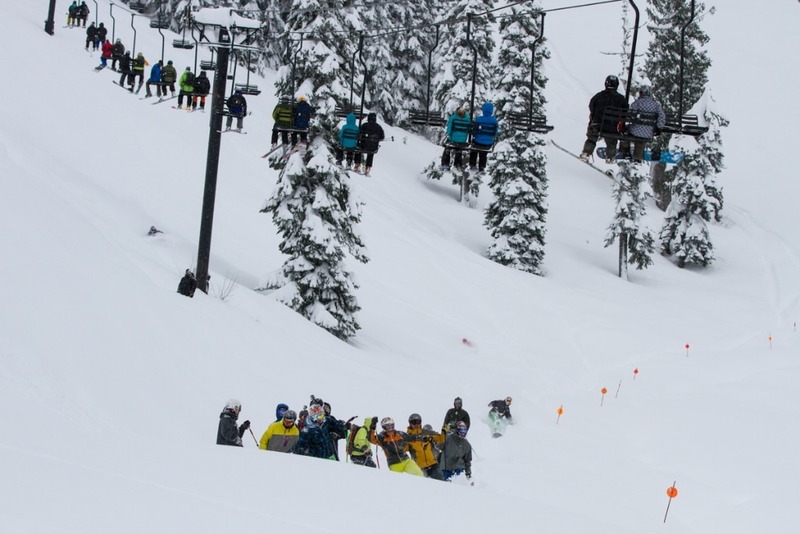 Stevens Pass Ski Area garners hefty Cascade Mountain snowfall. 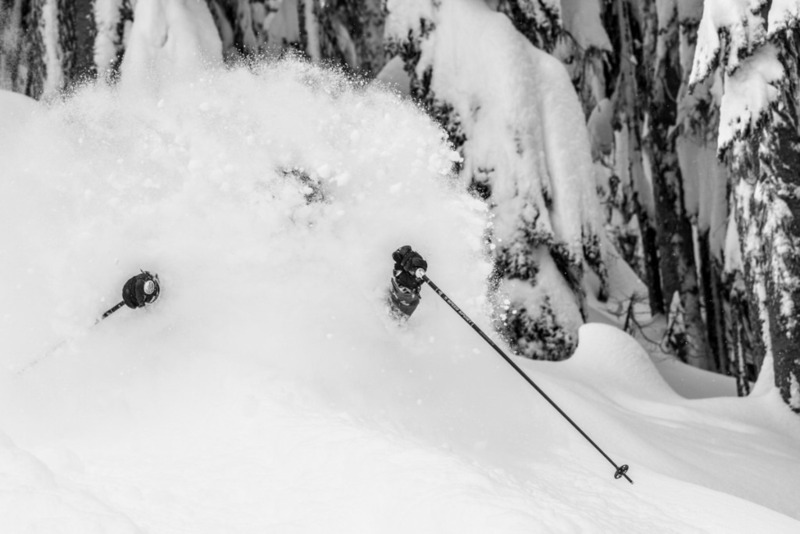 Photo by Chase Jarvis, courtesy of Stevens Pass Ski Area. 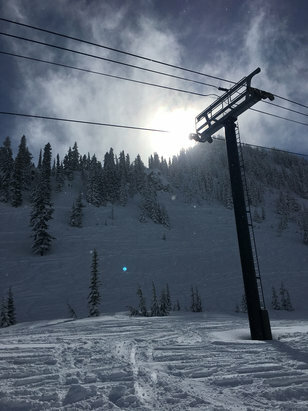 Stevens Pass on a fresh snowfall day. 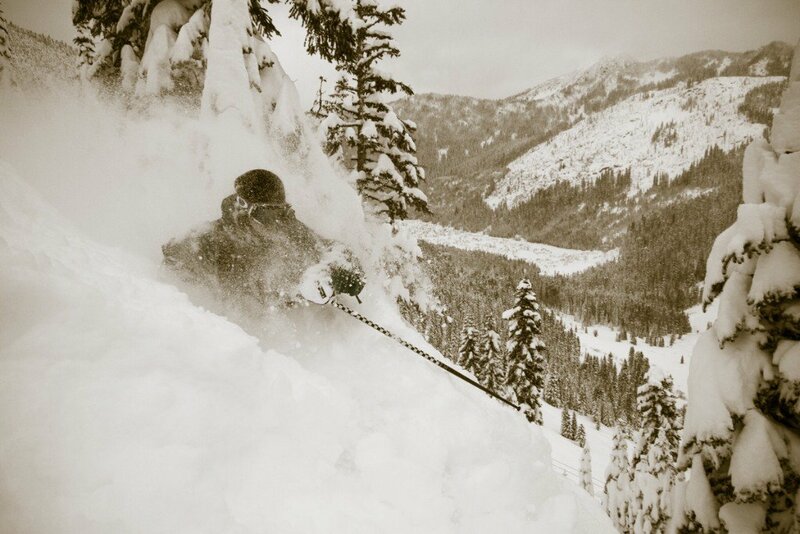 Photo courtesy of Stevens Pass Ski Area. 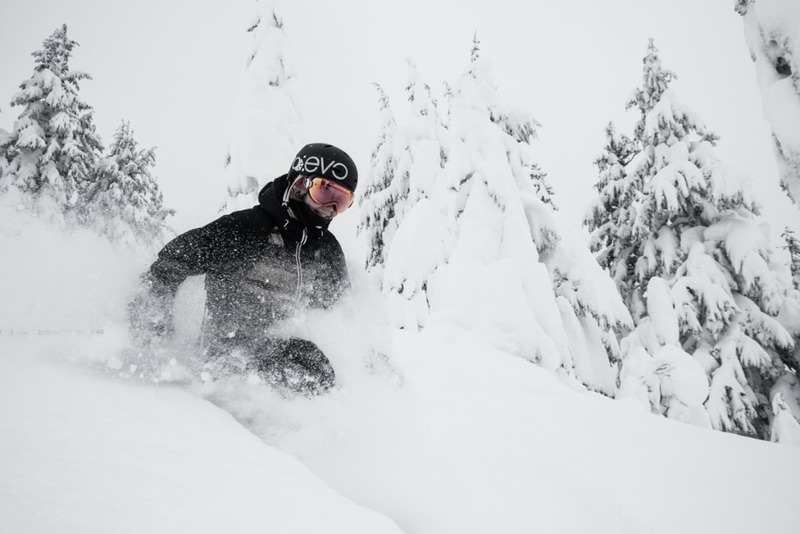 Get Snow Reports, Powder Alerts & Powder Forecasts from Stevens Pass Resort straight to your inbox!